I was going to photograph my Spring garden today but it’s raining. 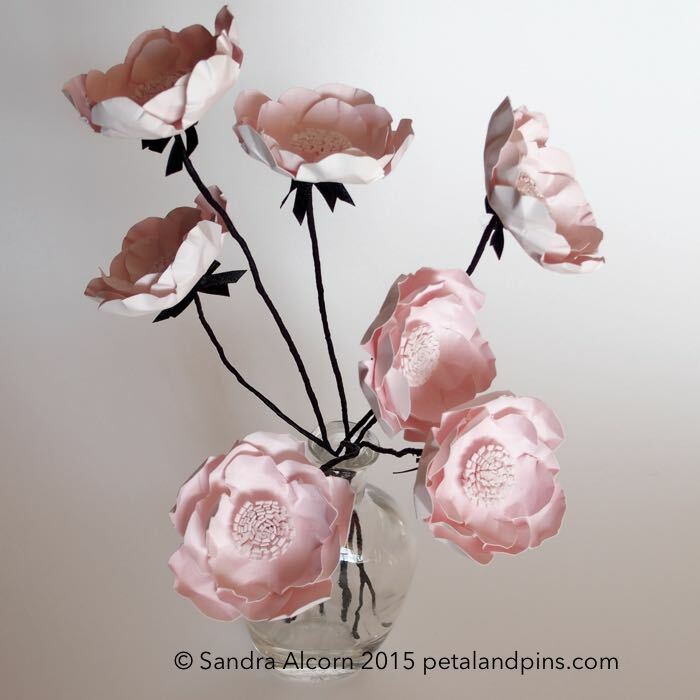 Instead I ‘m sharing with you my ‘Paris Flowers’ that I made earlier in the year. 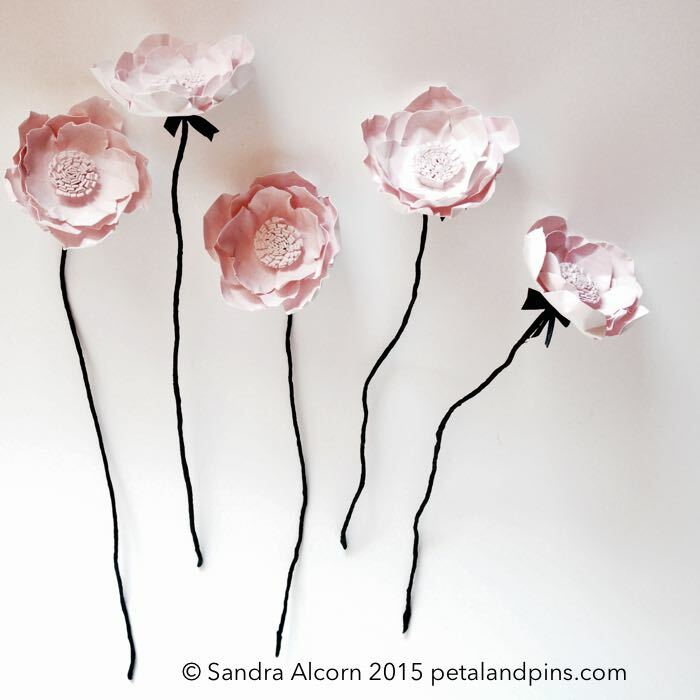 I called them this inspired by the combination of soft pink wash I painted on the paper and black satin ribbon bows that form the sepals. Paper flower making seems to be having a ‘moment’ by the stream of gorgeous ones appearing in my instagram feed lately. There are some exquisite ones by artists making them from crepe paper, special crepe paper mind you not the flimsy bright coloured stuff of kindergarten craft memories. I think though my métier is for using real flowers for my garden fairy dresses so my fabric scissors are safe from being given over to paper anytime soon. Such a soft, old-fashioned pink – you’re so talented!